It all started over 40 years ago with someone selling hubcaps in the middle of a field. Now, the Waterbury Flea Market is the oldest and largest flea market in the state. It also guarantees you something to do every weekend this summer. 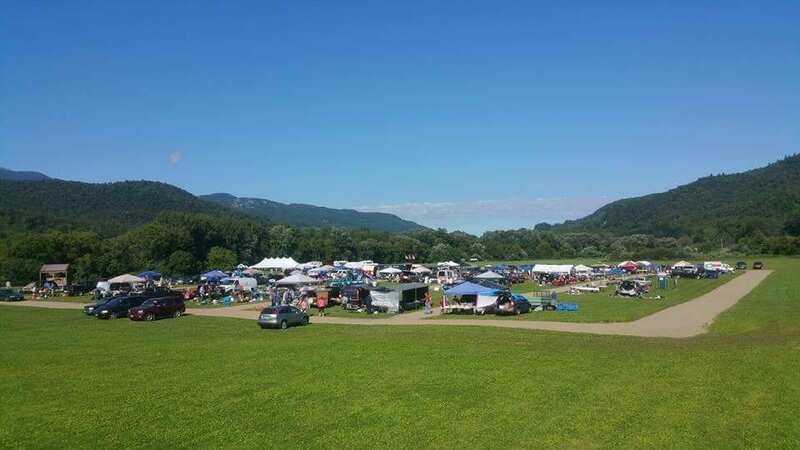 Open every Saturday and Sunday until October 29, the Waterbury Flea Market turns a flat field with pristine views of Camel’s Hump into a buyers’ paradise. Brian Erwin, the Flea Market manager since 1993, said there is enough space for 128 vendors, and on busy weekends, there will be right around 100 vendors selling anything from antiques to used items in really nice condition to brand new items. He can’t say for certain, but Erwin believes the flea market sees at least 20,000 shoppers a year. And in case all that shopping makes you hungry, a concession stand will have homemade fries, burgers, hot dogs, soups, chili, and creemees for sale. Free parking is available and there is no admission for shoppers. For $20 a day, vendors get a 25×25-foot setup space. The market will also be open on the following holidays: Monday, July 3; September 4; and Monday, October 9. Flea Market hours are 7 a.m. to 5 p.m. It is located at 2201 Bolton Rd.